Martin Briede has taught at Royal Johannesburg for over 20 Years. 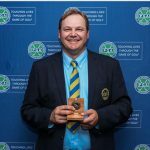 He was nominated for Best Teaching Pro 2008 (PGASA Awards), the Academy is a must for those who are serious about improving their game. Martin is very committed to the RSS and is currently completing Level 4 of the GEGAS training course.